Dell today launched the Latitude 13, a product they hope will catch the eye of the upper end of the business market. 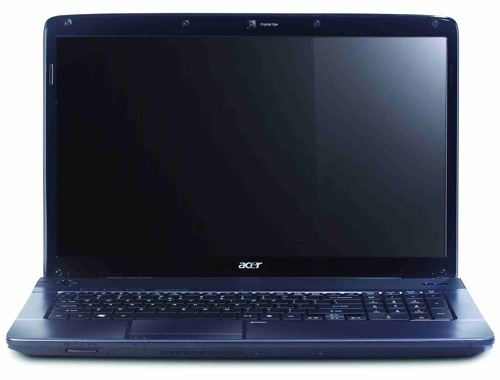 On a busy day, the latest version of its 17-inch Precision M6500 mobile workstation was also produced, adding options such as dual-core Intel Core i5 and Core i7 processors and an RGB display. 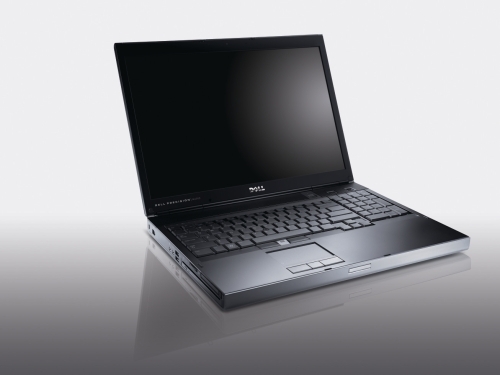 Essentially a rebranded Vostro 1310, the Latitude 13 includes Dell’s ImageDirect services, which allows IT users to create, update, and deploy customer images to a whole fleet of Latitude 13s. Laptopmag notes that whereas the V13, like other Vostros, was designed to help businesses without IT departments help themselves, “The Latitude 13 comes tailor-made for IT managers, complete with TPM circuitry and virtualization-ready configurations”. So, with the recent release of Intel’s latest line of processors, the Core i3 line, we’ve had an awful lot of requests from people hoping we’d put together a solid Core i3 build on a reasonable budget. I was going to ask Ryan from our RMA department about this, but then I remembered that every time I say the word “budget” he tries to fit as much as humanly possible into the build. The CPU is what’s prompted this whole build, so we figured it might be best to make sure we got it out of the way as early as possible. It’s an Intel Core i3-540, which will probably say enough to those of you who’ve been keeping a close eye on it, but for those who haven’t bear with us. The Core i3-540 is a dual core, socket 1156 processor with a 4MB L3 cache. It’s a solid arrangement, but for those who are interested in getting as much detail as possible, you’d do well to check out this (quite long winded) but very in-depth piece from XbitLabs, which goes into a tremendous amount of detail about Intel’s current processor line up. Aside from all that, the Core i3-540 weighs in at €135. It seems that Intel has accidentally leaked details of an upcoming update to Apple’s MacBook Pro notebook line through a slightly botched promotional mailing. Set for a January 26th announcement? TomsHardware is reporting that the two new notebooks boast up to 8GB of RAM, and give users the option of Intel’s Core i7, Core i5, and Core i3 processors, which is curious enough in itself. The devices will be available in either a 15.6” or a 17.3” form factor, with screens resolutions weighing in at 1366×768 and 1600×900 respectively. Indeed, it’s all a little ho-hum (if high-performance) until you get to the graphics arrangement. Intel’s upcoming Gulftown processor, which most of us expect will become the Core i9 by the time it eventually goes on sale has showed up on Ebay, with the still in-development and testing CPU selling for the ripe price of $1,200. While the current range of Core i5 and Core i7 processors top out at quad-core, the Gulftown/Core i9 boasts fully six cores, and some of the data leaking out from Intel’s tests show it to be a very interesting beast indeed. If nothing else it’s curious to see that there’s a Gulftown processor already working and released into the wild, regardless of just how much illegality it took to get there. Good afternoon all, hopefully everyone’s doing well now that we’re passed the halfway mark and now hurdling towards the weekend. Some of you might remember the piece we posted last week where we told Ryan to put together a PC build weighing in at under the €1,200 mark. We always get feedback on PC builds, so we’ve decided to run with it. When Ryan’s build went up, we asked the folks over at our Boards.ie Talk To Komplett forum to take a look at the build and see what they thought of it. After all, Ryan’s only Welsh, so surely we could get a decent home grown machine out of the charming Boards.ie constituents. Indeed, we got a few interesting builds, but we’ve decided to post the best of them here. We won’t keep you waiting, so the without any delay we’ll tell you that the very impressive build we have here come from a man known to us only as Messerschmitt, and it turns out he’s a bit of a hero. Messerschmitt’s build boasts some similarity to Ryan’s, at the very least, they both boast the same case. The Cooler Master HAF 922 is a relatively low-cost case with lots of space for cables, good airflow and it only looks a touch ungodly. Not much more to say about it than that really. You can find the Cooler Master HAF 922 here, for the princely sum of €92. You can also check out the absolute raft of awards its won on the same page. Where Ryan went for an Intel Core i5 processor to keep costs down, Messerschmitt has instead opted to splash out, going for a Core i7 Quad. Ryan was of the opinion that if you were building on a budget Core i5 might suit your needs better, but clearly that’s not the way everyone flies. Moreover, the addition of a Core i7 processor offers a nice bit of future-proofing, for those who are building a machine they’d like to see last a while, rather than one they’ll be upgrading continuously to pull more and more performance from. It’s also excellent to see that all of its reviews rate it at 5/5 with everyone seeming very pleased indeed. At the moment, the Intel Core i7 Quad (i7-920) is €242, which is pretty hefty compared to Ryan’s Core i5, but fits very well into this build.